1. We found the perfect tree! 2. Love having walnuts during the holidays. 3. Our first stockings (a la Pottery Barn). 5. Mistletoe in the doorway from the dining room to the kitchen. 6. Balcony wrapped in lights. 8. Poinsettias: staples of the holiday season. 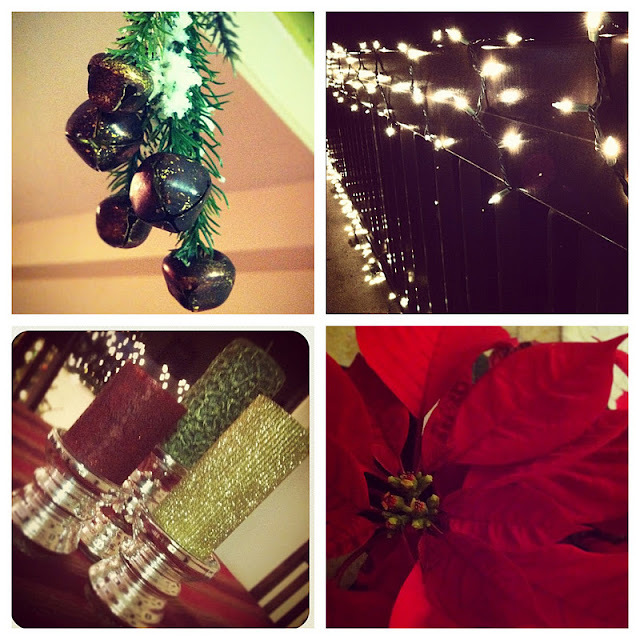 Christmas is easily my favorite holiday - especially when it comes to decorating. I just love how the lights make everything sparkly and warm. The photos above, taken with Instagram (you can follow me here), are a few recent snapshots of things in and around our little apartment. Aww so cute!! I just finished covering my office in wrapping paper and spray painting snow flakes on the window :)Hope to see you tonight! 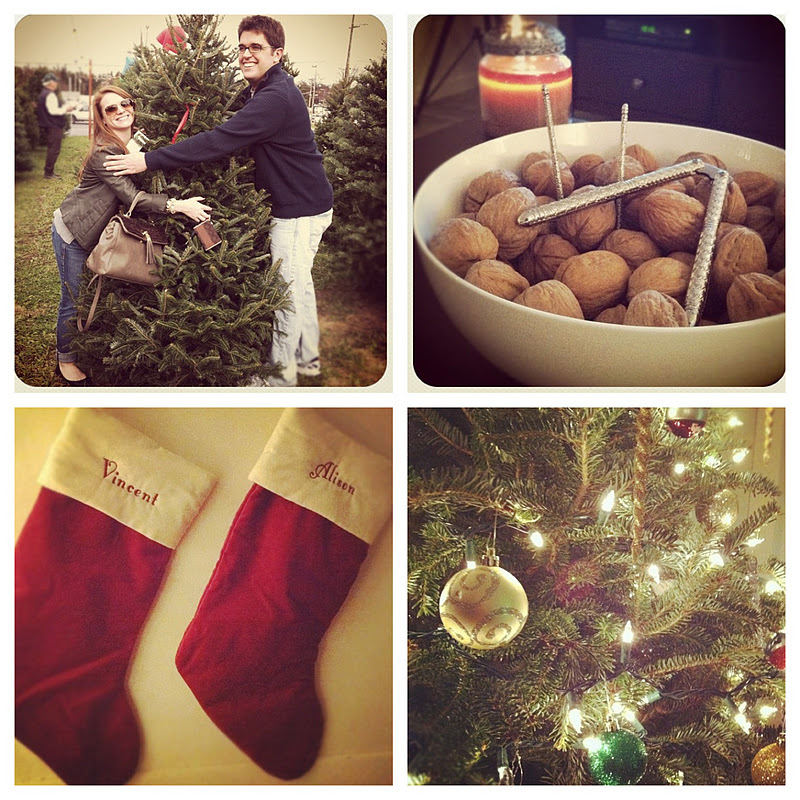 Oh that picture of the xmas tree really makes me want to get a real one too! I love these festive photo's!!!!! adore everything christmas! thanks for sharing these beautiful images girl! definitely making me even more excited for the holidays!